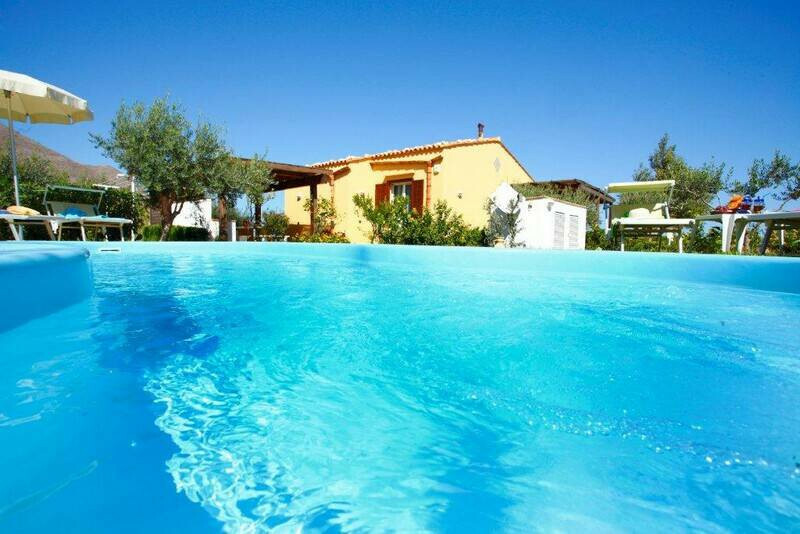 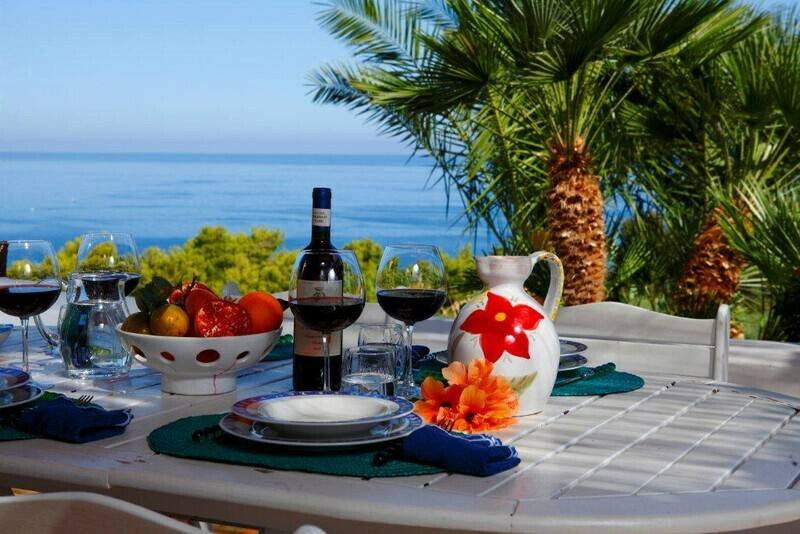 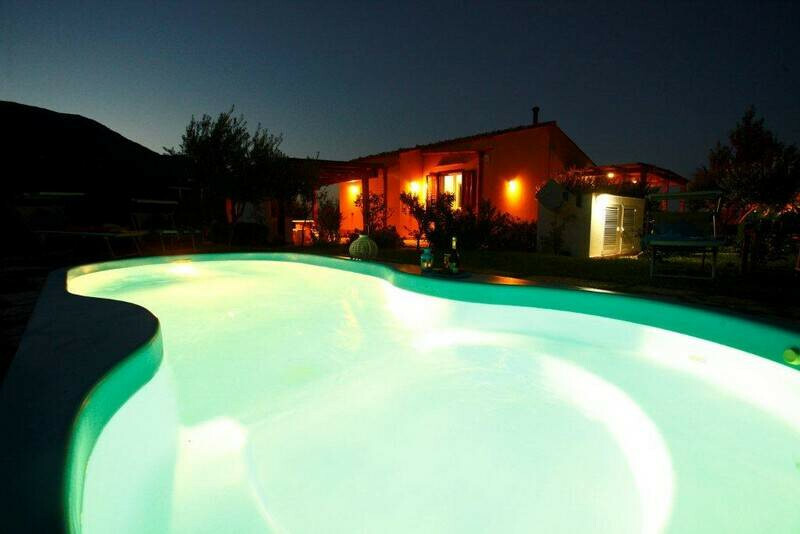 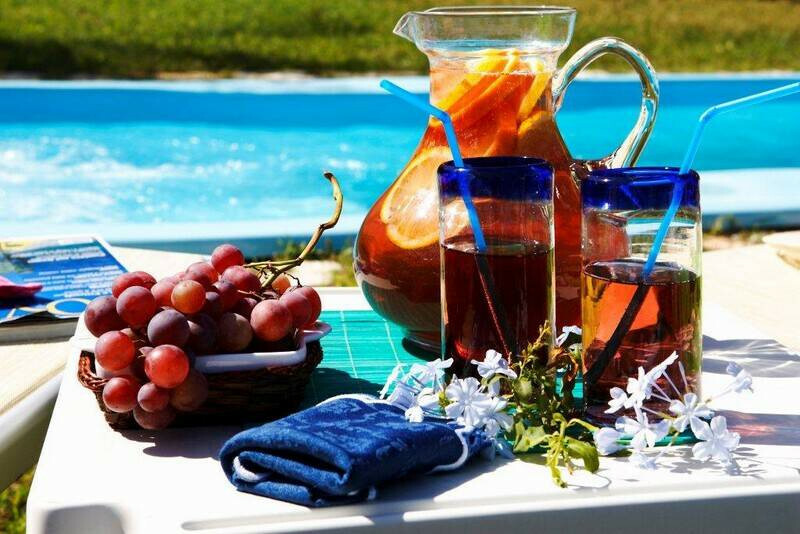 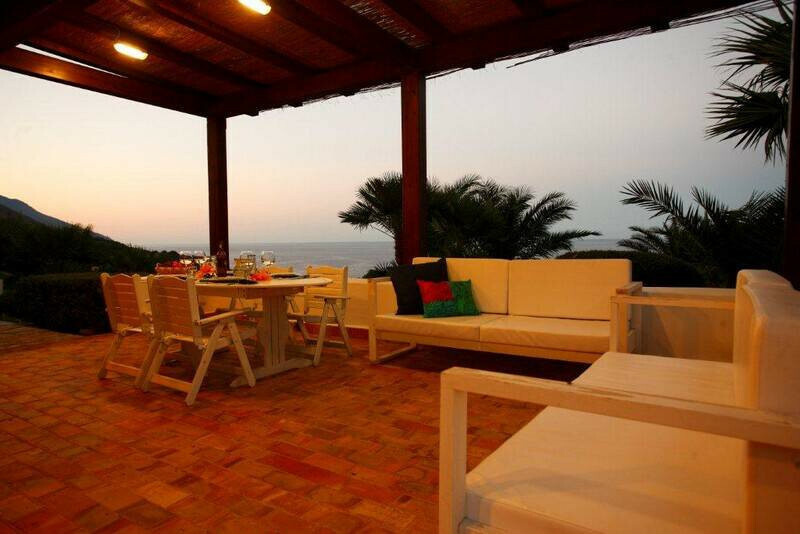 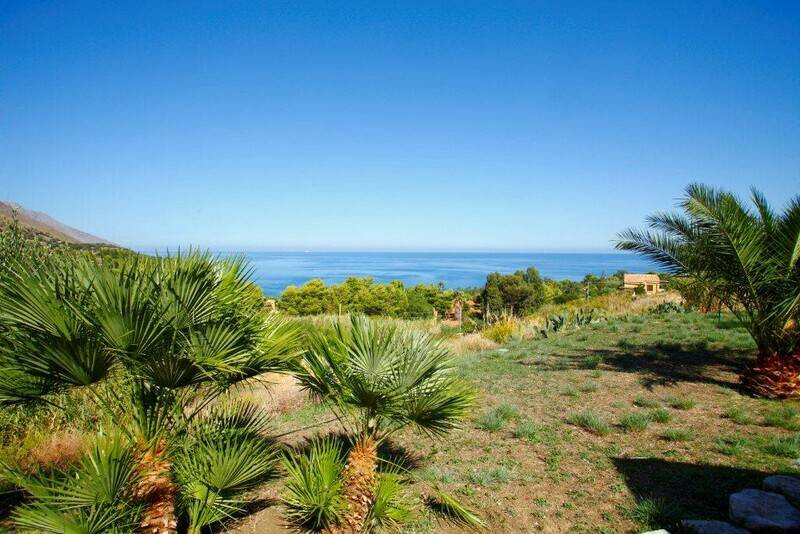 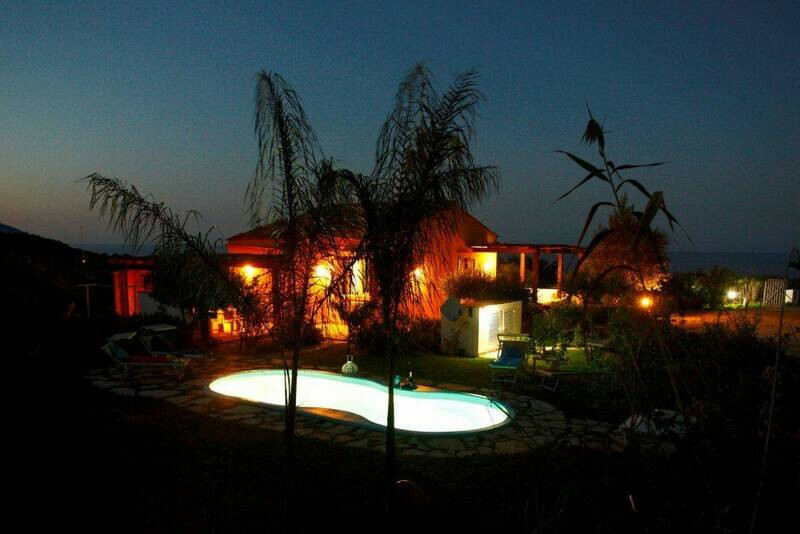 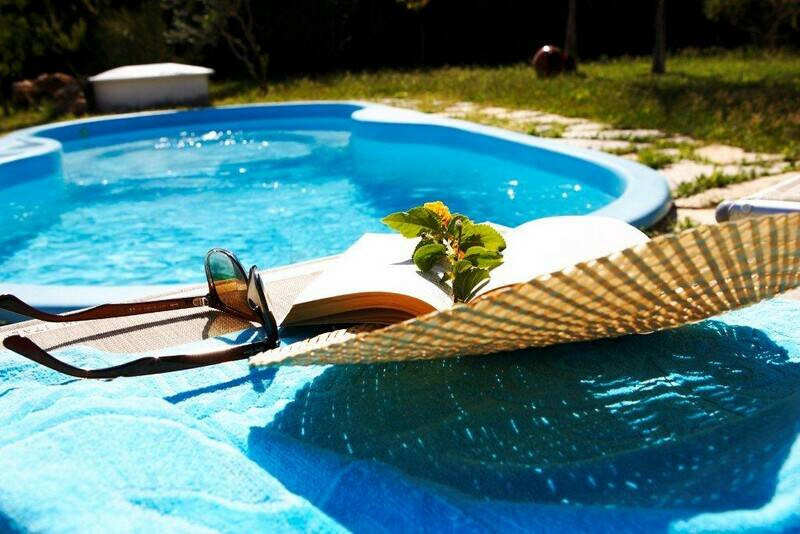 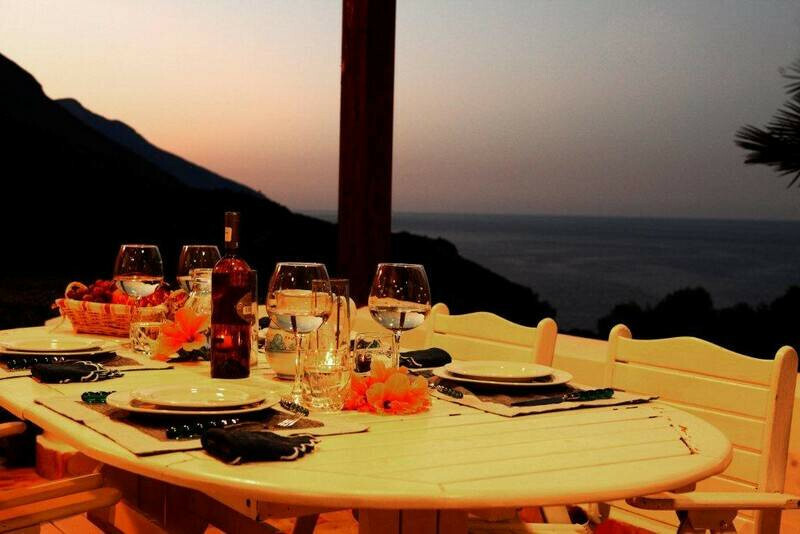 Villa Gaia is waiting for you near the hamlet of Scopello. 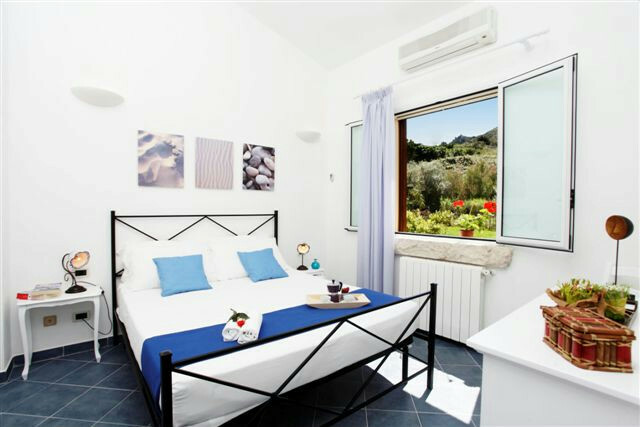 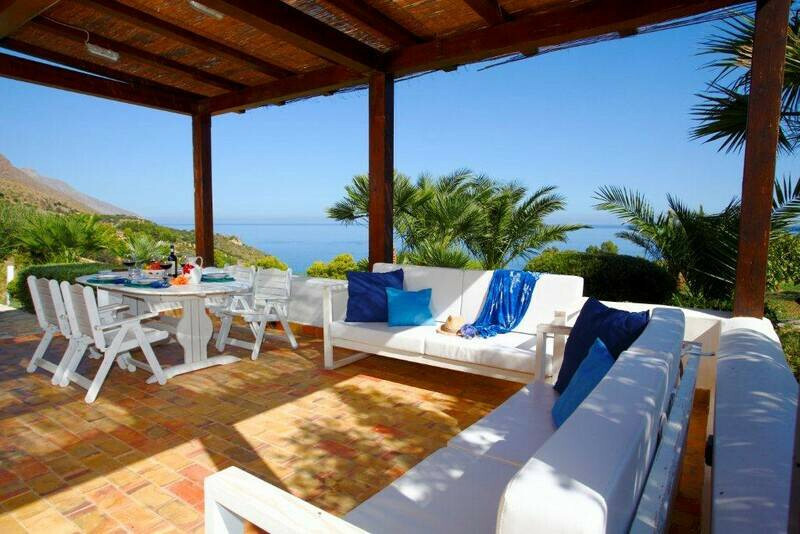 This beautiful villa lies in the middle of the green and lush vegetation of the valley upon the charming beach of Cala Mazzo di Sciacca, near the hamlet of Scopello, and is surrounded by nice garden with fully-equipped outdoor dining area and a beautiful swimming pool with Jacuzzi. 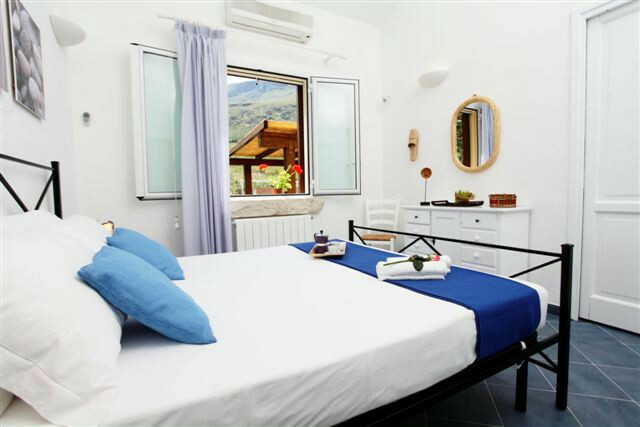 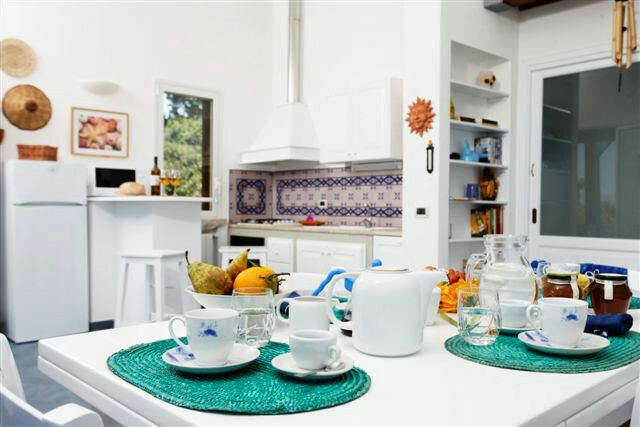 Two outside verandas surround villa Gaia: plenty of space to live the enchanting atmosphere of this lovely corner of Sicily at its best. 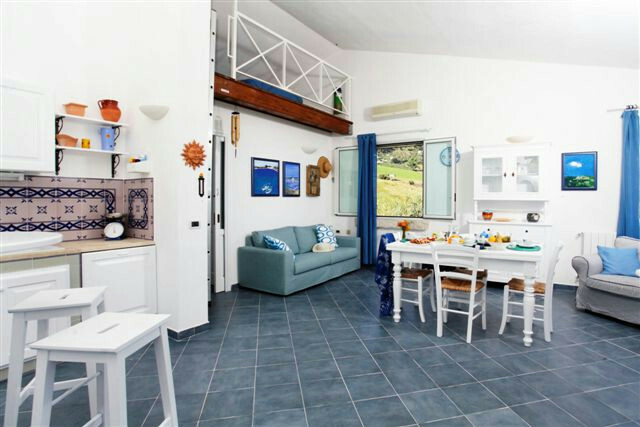 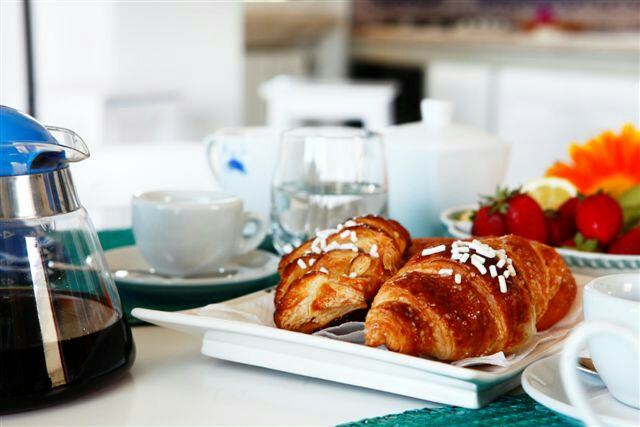 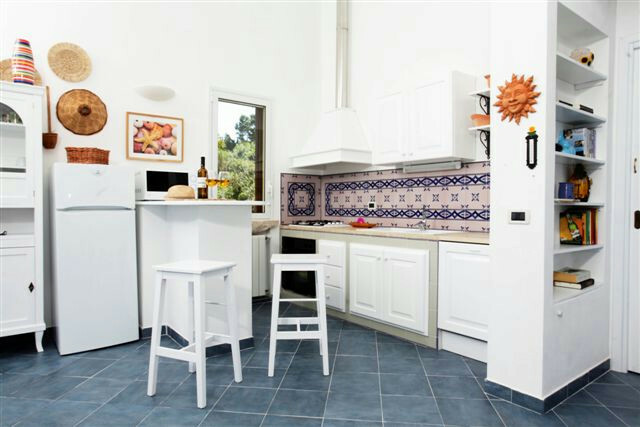 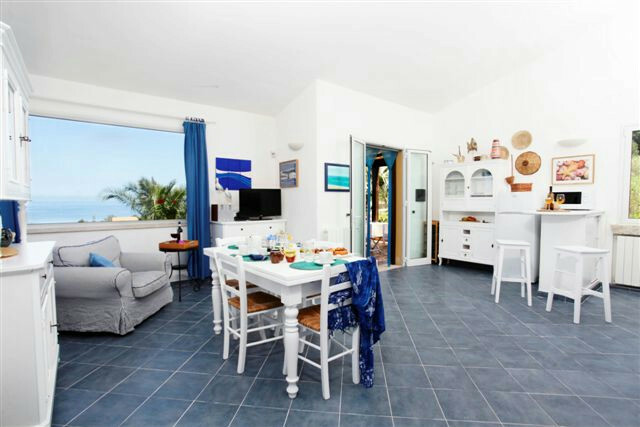 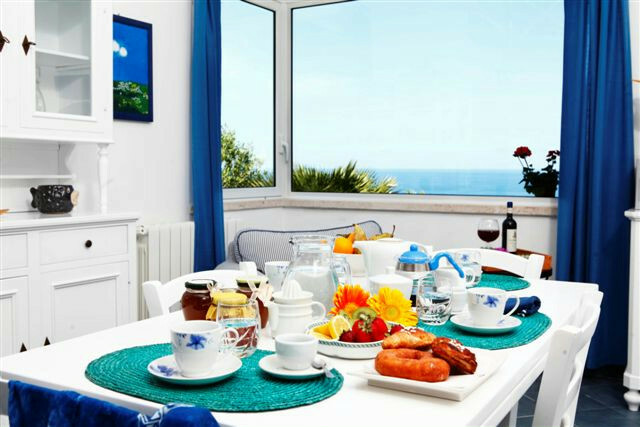 Inside, the living area is very well furnished and organised, and it has a stunning view of the Mazzo di Sciacca bay: the elegant dining room has wide windows that let the fresh sea breeze in, and the stonework kitchen is refined and functional. 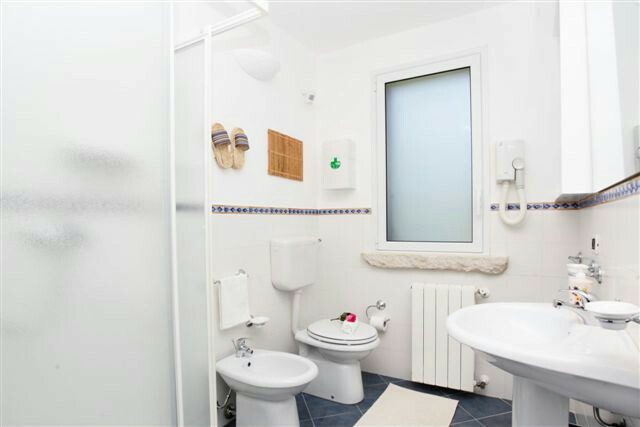 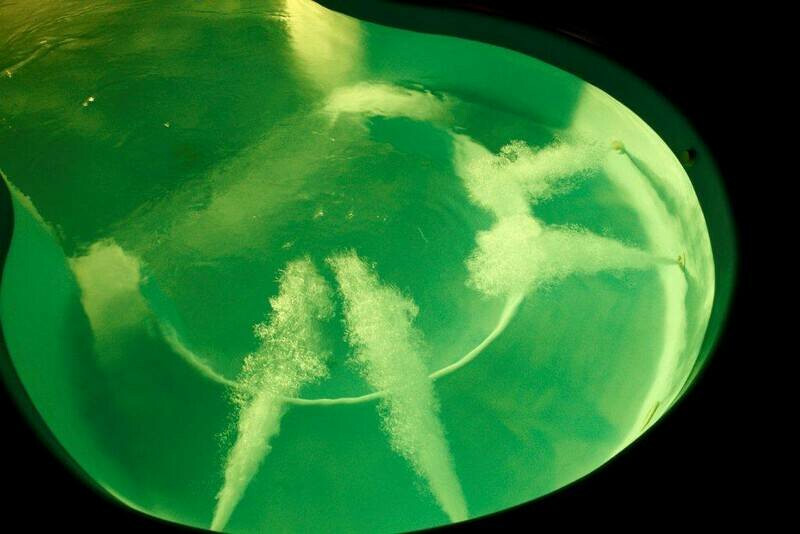 The ground floor also has a bathroom with shower. 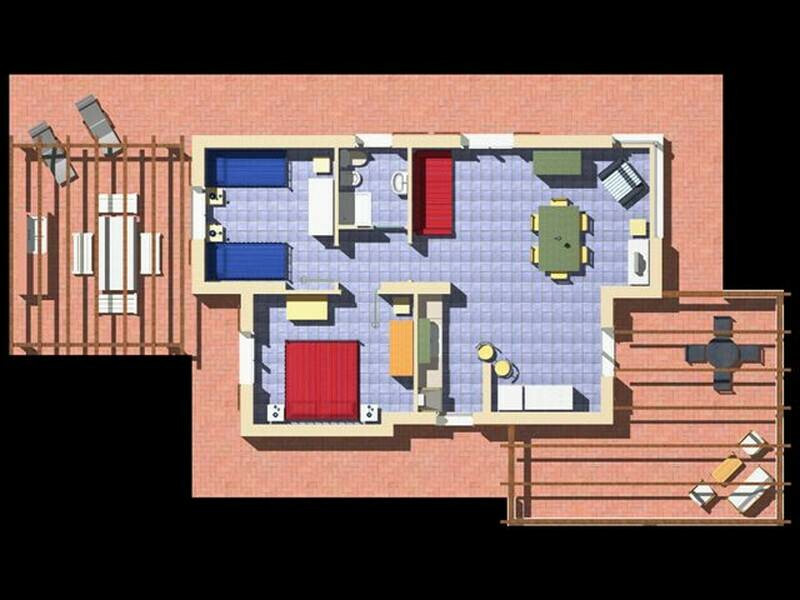 The stairs lead to an intermediate floor with a lounge area equipped with tv, hi-fi, dvd reader and a well stocked wine cellar. 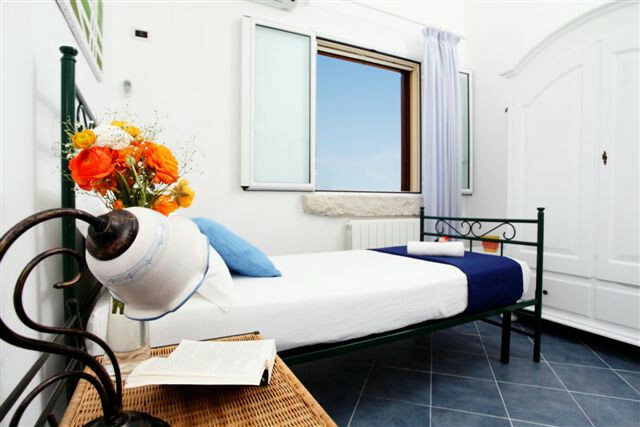 There are a double room and a twin room as well; both are elegant and fresh, with plenty of wardrobe space. 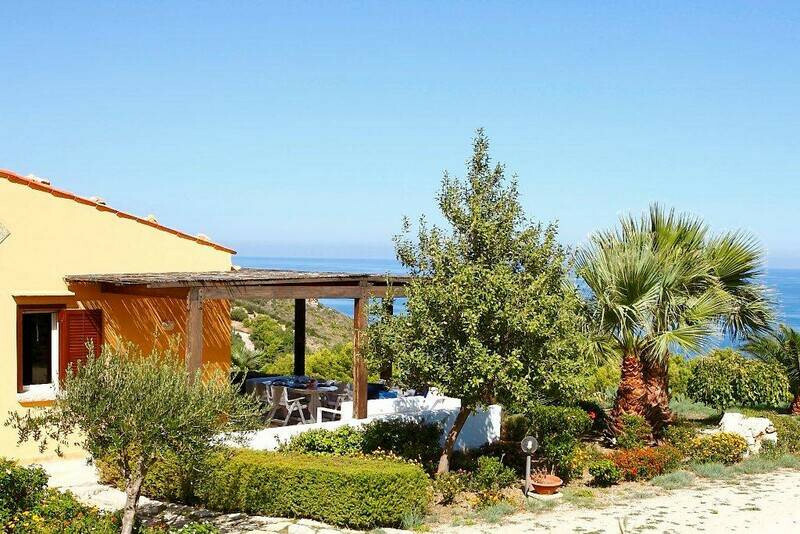 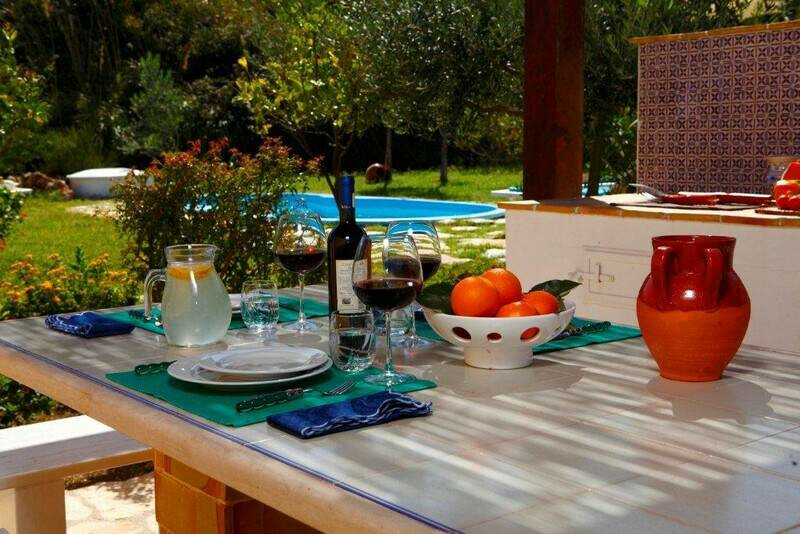 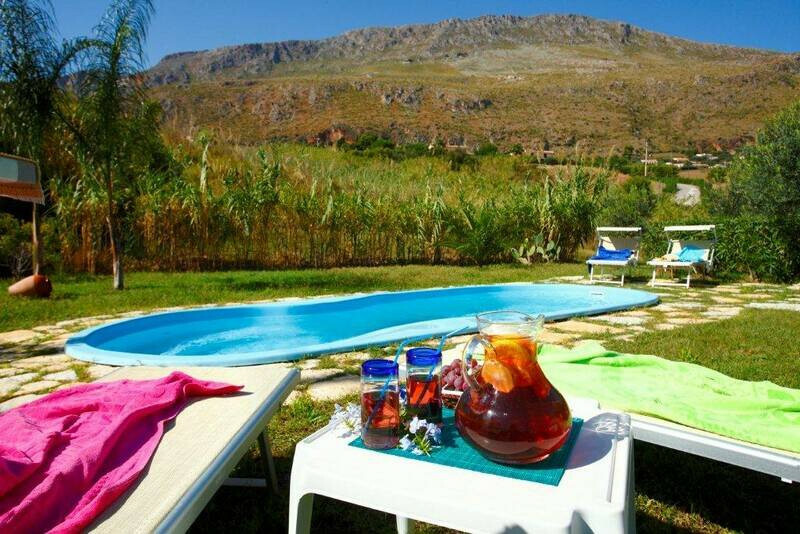 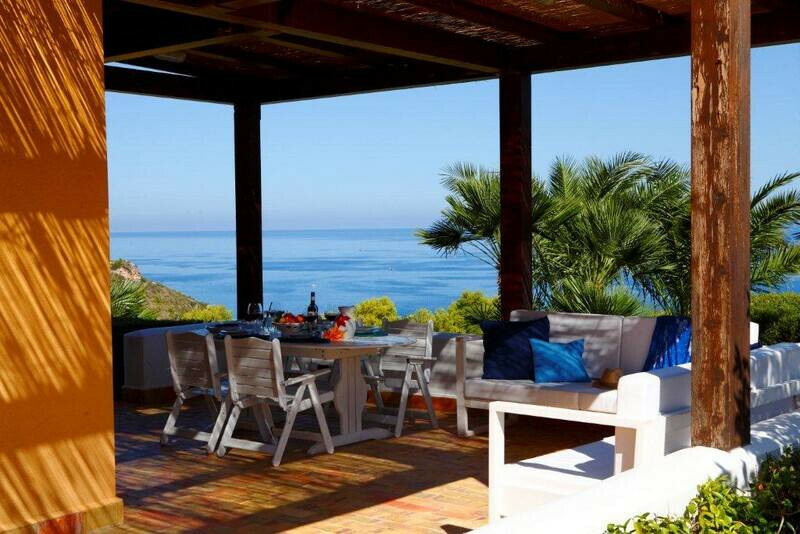 Outside, olive groves, carob trees, mulberry, palm trees and typical Mediterranean vegetation surround the villa; relaxing on the pool or enjoying a BBQ outdoor dinner will be a complete delight here. 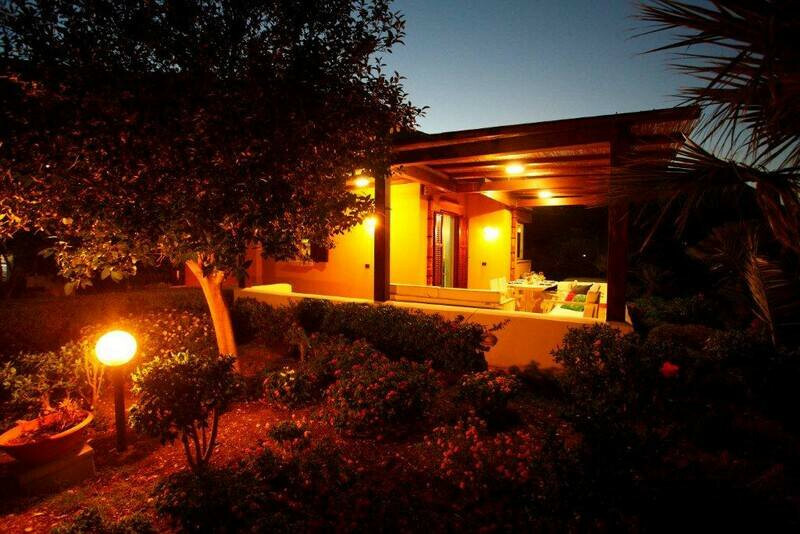 The house also has a security system with 24-hour assistance. 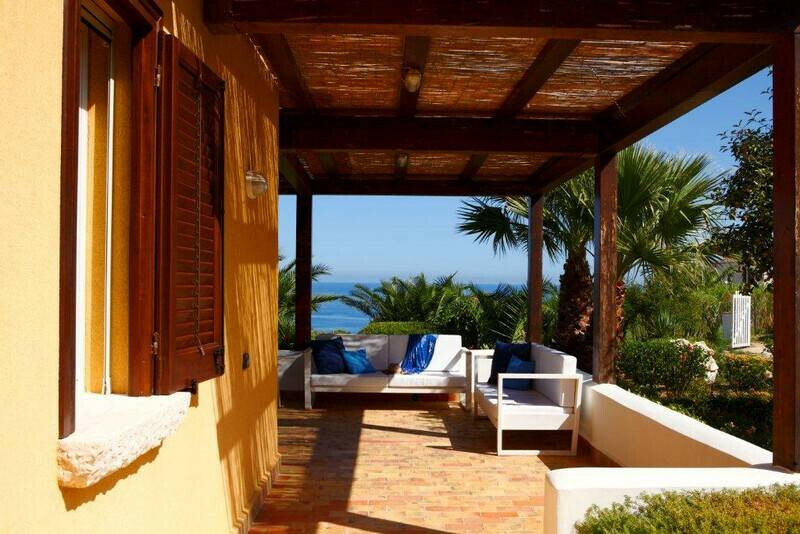 Villa Gaia lies just 400 meters far from the sea: the beautiful Mazzo di Sciacca pebbly beach will be perfect for a day of sun-bathing and relaxing baths in a transparent and clear sea. 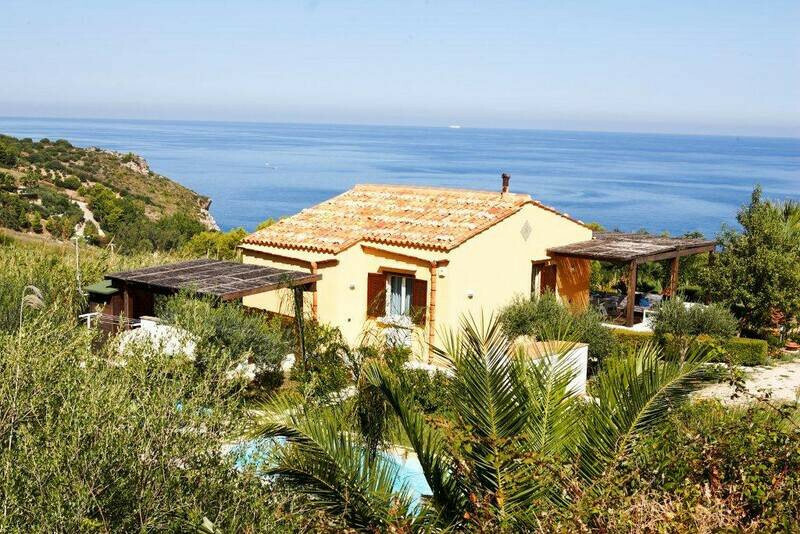 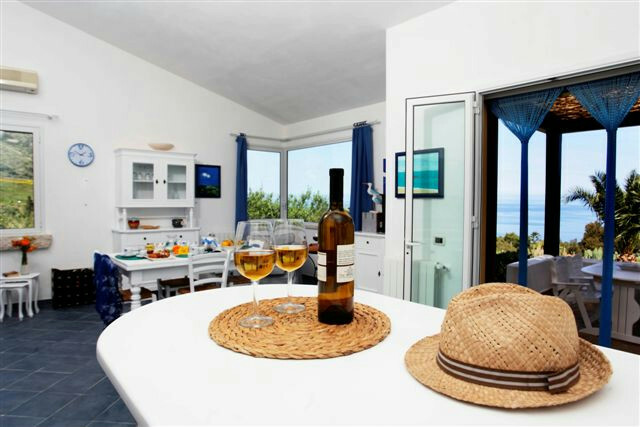 Only 2 kilometers separate the villa from the wild and stunning Zingaro Nature Reserve, a beautiful protected area with great overlooks and fascinating scenarios and little bays. 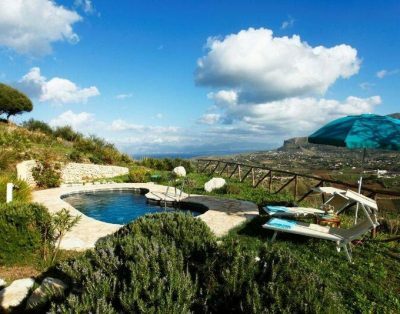 We highly recommend daily trips to the nearby wonders - from the archaeological park of Segesta to the elegant and romantic Trapani, from the majestic and colorful Palermo to the baroque and windy Marsala, a world-famous wine district.